We believe that youth are not the future of the church, but that they are an important part of the church today. St. Mark values students! Every Sunday starting at 9:45 during the school year, we offer Sunday School classes for Preschool through high school students. Classes are fun, age-appropriate, and relevant. Our teachers enjoy growing in faith with our younger members. 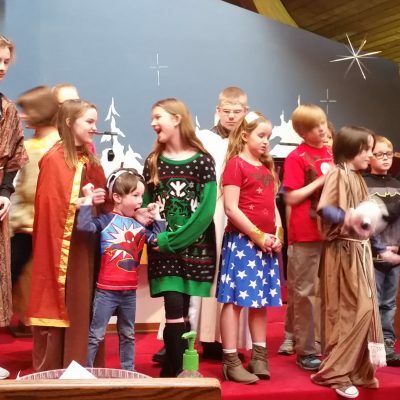 The Preschool through Elementary Classes use the Spark Sunday School Curriculum which explores many of the Old and New Testament Bible stories. The Junior High and High School youth study is based on the ELCA “Faith Lens” blog which digs into the scripture lessons for the upcoming Sunday and encourages students to apply their faith to their daily lives. Junior High students meet with the pastor for Confirmation classes twice a month during the school year. These classes help students make more connections between their faith and daily lives. 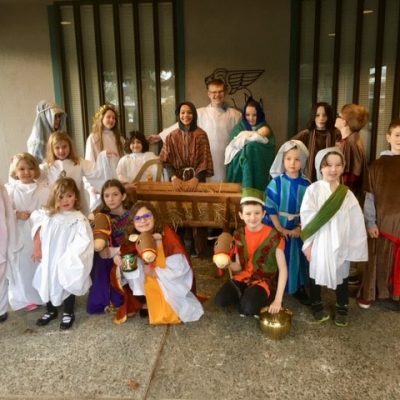 Students explore the Bible, questions of faith, God, the sacraments of baptism and communion, the church, and more! Once a month, students meet with their adult mentors. 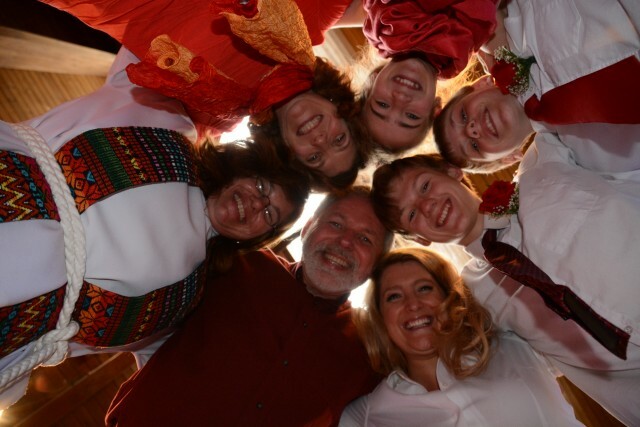 When students have completed confirmation instruction, each student is invited to publicly affirm their faith as we celebrate the Rite of Confirmation–usually on Pentecost Sunday. 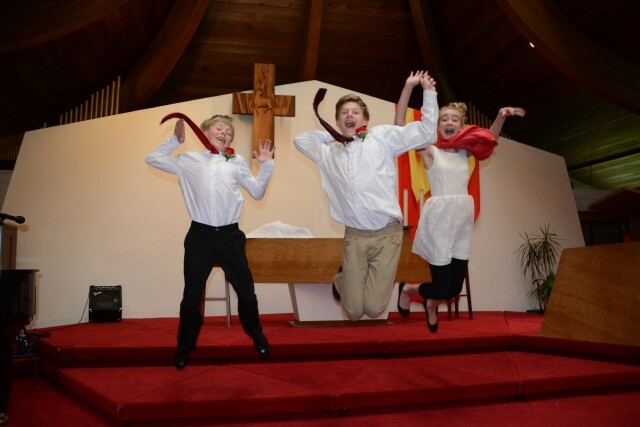 Confirmation Sunday is a wonderful celebration! Junior High and High School students have special events just for them. These events included opportunities to grow in faith, fun fellowship events, and meaningful service projects. In July 2015, we had a group of high school students attend the ELCA National Youth Gathering, “Rise Up Together” in Detroit, Michigan. This gathering for high school aged youth takes place every three years and is about faith formation, worship, study, fellowship, service, and play. It is an opportunity for youth to engage with peers from across the United States and the world who share a common faith in Christ. 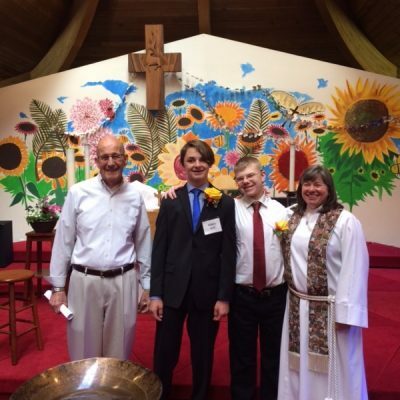 Students of all ages participate in the life of our congregation. 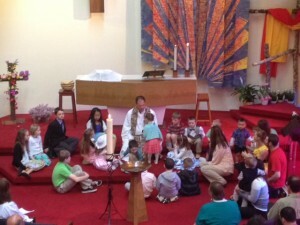 Many of our students serve during worship as readers, ushers, and communion assistants. Several of our youth have also prepared the message for Children’s Time or have given the sermon on Sunday mornings. Our students, beginners and more advanced, offer special music during worship as solos, duets, small groups, and larger ensembles. 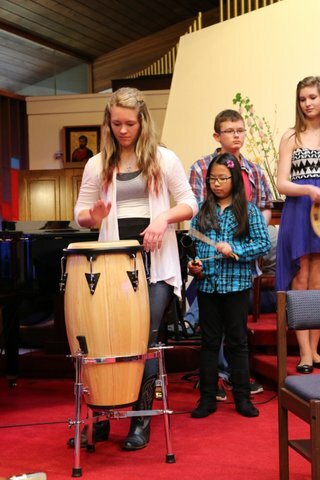 Students of all abilities are welcome to offer their variety of gifts and talents in thanks and praise to God. Throughout the year, St. Mark sponsors several inter-generational events that bring people of all ages together to learn, grown, and have fun. Some of our past events have included: “FBI”–Fellowship, Bunco and Ice Cream; Pizza, Parables, and Pictionary; Burgers, Bible Stories, and Bunco; Halloween Parties, and the Advent Fair. We welcome you and invite you to celebrate the gift of our students!